Commonly, patients with fullness in the neck area may not be candidates for a facial plastic surgery procedure—such as a facelift—due to medical conditions, high blood pressure, smoking, or blood-thinning medications. 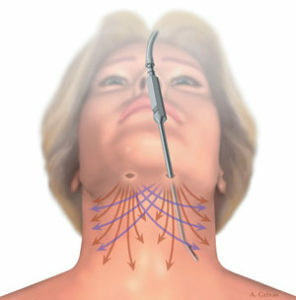 Furthermore, individuals may disqualify themselves from a facelift due to cost, unavailable recovery time, or emotional resistance to “such a big procedure.” Fortunately, patients who seek cosmetic improvement of a full or poorly-defined neck may still be able to achieve a more youthful neck contour with submental suction-assisted lipectomy— a procedure utilizing specialized liposuction techniques that can be less invasive than a facelift. Our plastic surgeon, Joe Gryskiewicz, MD (“Dr. Joe”), has conducted an in-depth six-year study on liposuction of the neck without a facelift involving 132 patients who had undergone the submental suction-assisted lipectomy procedure (published in Plastic and Reconstructive Surgery, 2003, p. 1393, “ Submental Suction-Assisted Lipectomy without Platysmaplasty: Pushing the (Skin) Envelope to Avoid a Facelift for Unsuitable Candidates”). In the results of the study, neck liposuction without a facelift was observed to be a reasonable alternative for some cosmetic surgery patients in St. Paul or Minneapolis who were unable or unwilling to undergo a facelift. Dr. Joe offers the procedure at his practice for patients who wish to achieve an improved neck and facial profile without undergoing more invasive facial plastic surgery. Who is a Candidate for Facial Liposuction? Patients who experience a crepe-paper appearance of the skin, or deep horizontal creases in the neck, are not usually good candidates for this facial liposuction surgery. During a consultation, Dr. Joe will listen to your cosmetic goals, review your medical history, and examine your anatomical indicators to determine whether the procedure can provide improvement for your concerns. When he sees you in person, he will discuss facial liposuction in greater detail. In general, he advises healthy older patients who are intent on reliable, definitive changes to undergo a facelift. 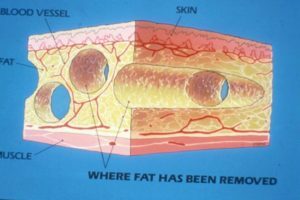 How is the Facial Liposuction Procedure Performed? At your consultation, Dr. Joe may perform physical examinations, such as a “pinch test,” to determine whether facial liposuction is an appropriate treatment for your needs. Once it is confirmed that this treatment is well-suited to achieve your goals, facial liposuction is typically performed under either intravenous (IV) sedation and local anesthesia or general anesthesia. 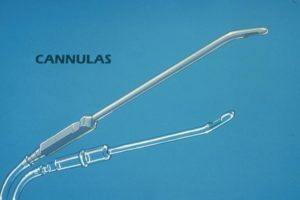 Different techniques may be employed depending on each patient’s anatomical indicators, but in general, a small surgical instrument called a cannula will be inserted through small incisions in the submental region and utilized to extract excess fatty deposits from the areas in which improvement is desired. What is Recovery Like for Facial Liposuction? In Dr. Joe’s studies, facial liposuction was shown to involve a relatively smooth and accelerated recovery period when compared to other facial surgery procedures. Mild swelling or bruising may be experienced, but such reactions can be managed by oral pain medications. 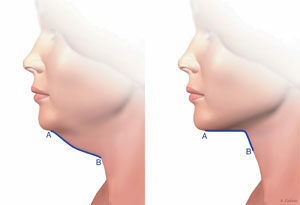 A chin strap will be worn after surgery to provide compression of the treated area and facilitate the healing process. Dr. Joe may also advise you to keep the head upright for a temporary period following surgery so there is no formation of a neck crease. Most patients can return to work and normal activities within one week. Exercise is allowed at two weeks. To learn more about this innovative neck rejuvenation procedure, or to schedule a consultation with Dr. Joe, please contact our practice today.